The classic is eternal; it will never go out of style that is its charm. 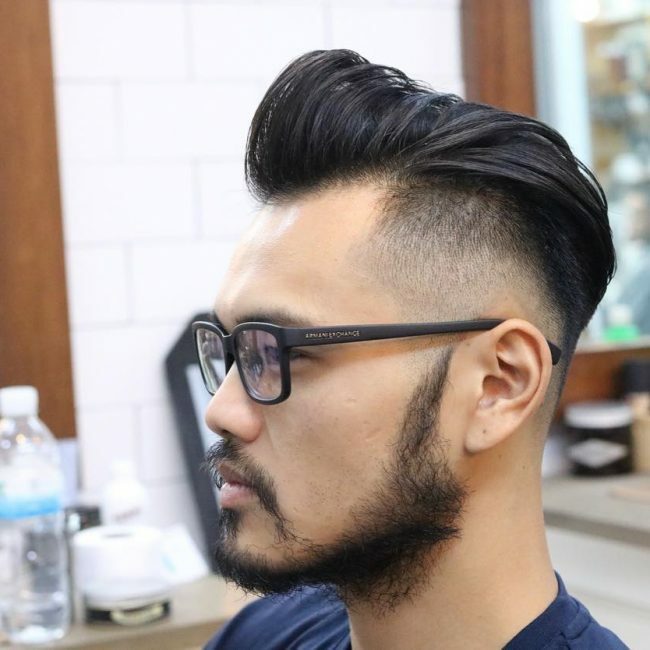 This article tells about the classic men’s hairstyle called “The quiff”, and about 40 ideas on how to wear it. Undoubtedly, this is one of the most iconic men’s haircuts of all time. 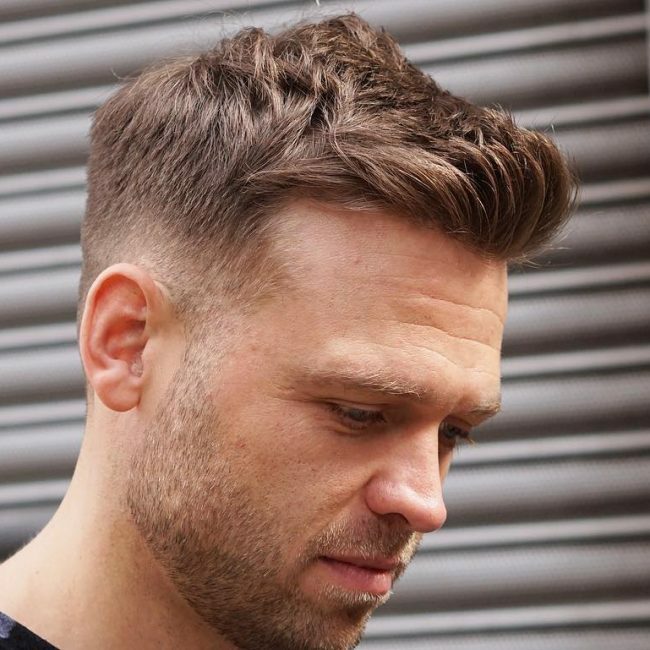 The quiff is universal; it is equally well suited for both the student and an adult man, for a man with either with an oval face shape or round. In this hairstyle, long hair gives you a space for experimentation, but the longer is hair, the harder it as put. 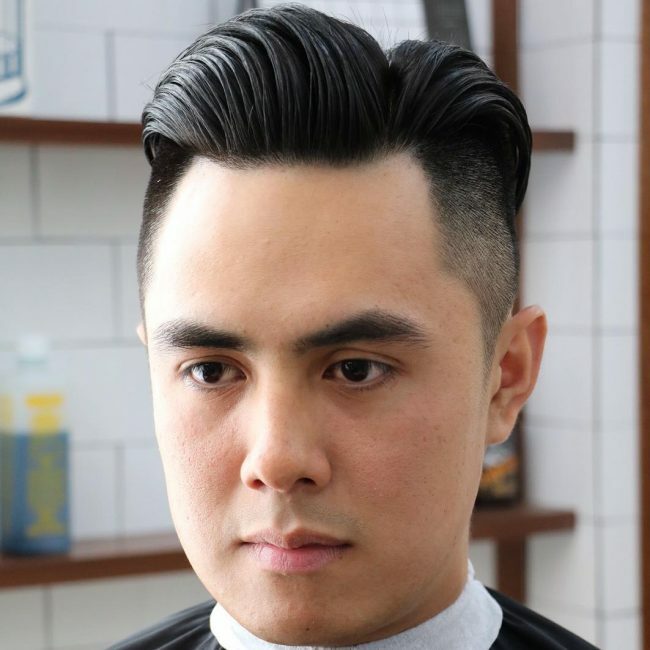 This hairstyle can be called classic high quiff, for which you need a long straight hair. This stylish and cool hairstyle will be perfect both in everyday life routine and in different important events like a business conference. 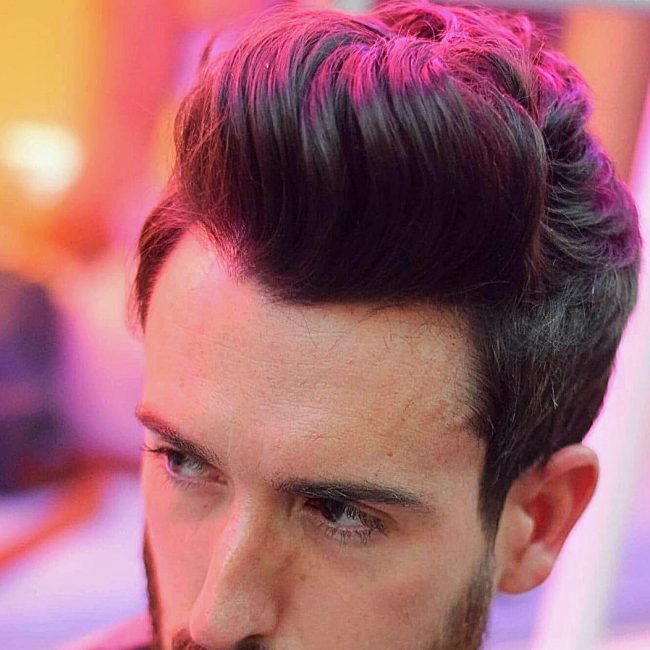 This haircut is a great example of flipped front quiff hairstyle; here hair looks elegant and a little bit brutal. This fascinating haircut is a great choice to hang out with your friends, go to the night club or even go outdoors. In this look, we see a neat classic quiff, for which you need a medium-length straight hair. This hairstyle will be an excellent choice for office worker of a student. Be sure, all your collies and bandmates will be amazed by your haircut. 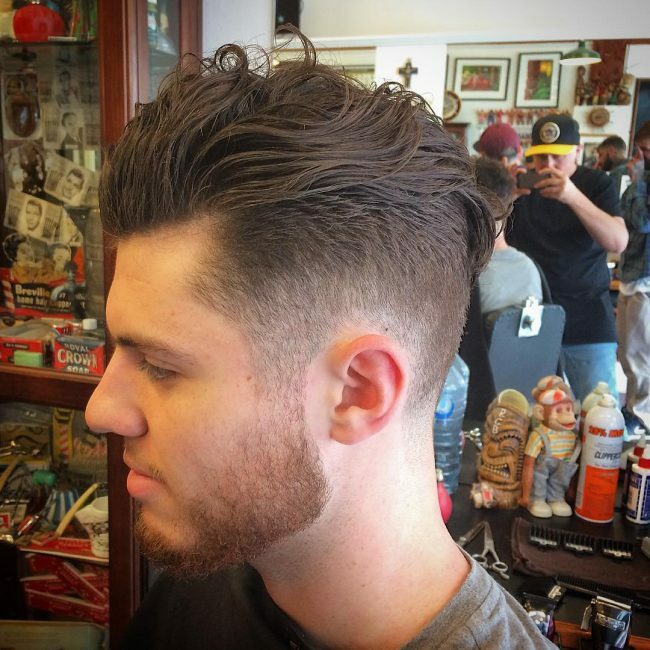 In this example, a barber has made a classic quiff with faded sides. Featured haircut looks even better with short beard, mustache and a pair of glasses. This impressive haircut is a nice choice for a young student, programmer or for a person who works on television. 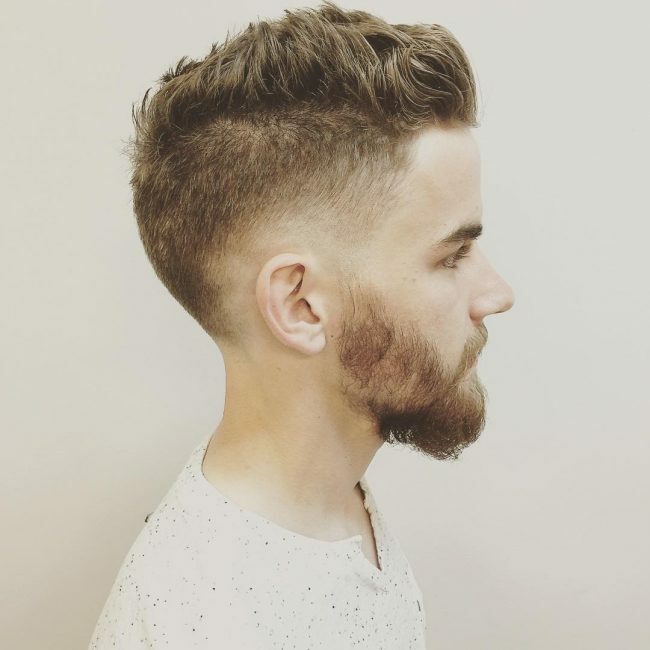 This model has combined a short spiky quiff with a short bushy beard and mustache. This nice and simple hairstyle will work well with a hoody, jeans, sports shoes and beanie hat. 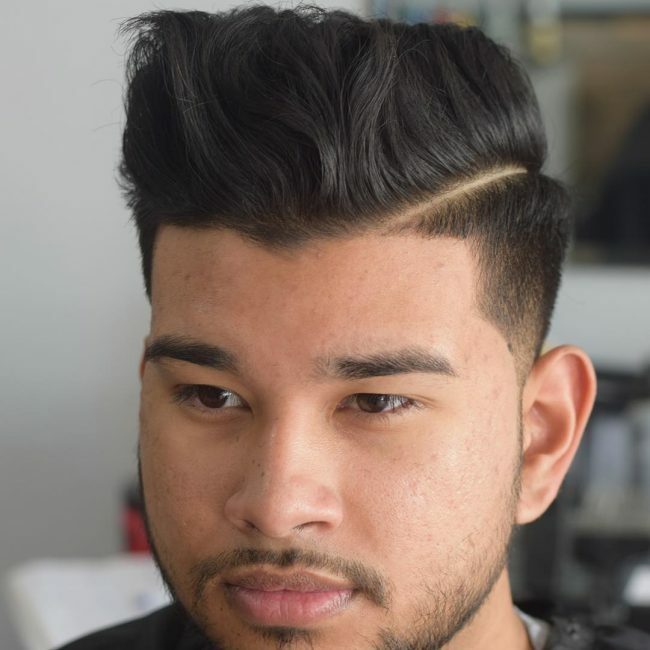 This hairstyle will fit almost any young man. 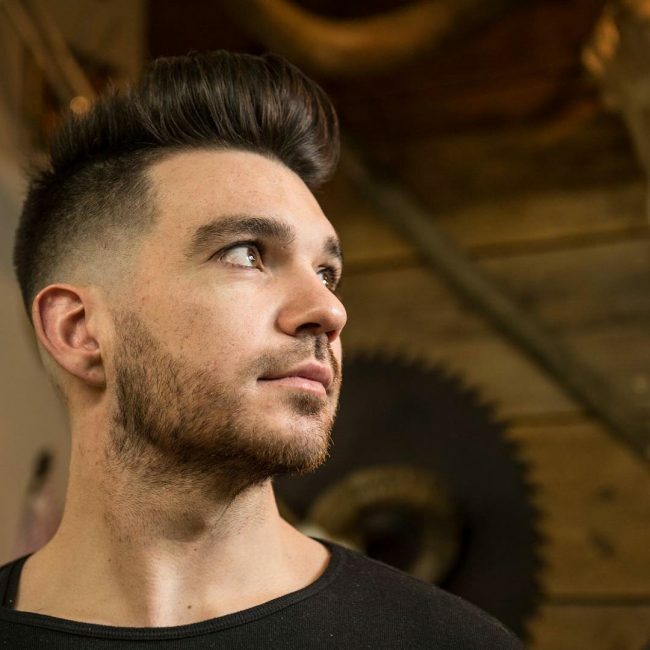 In this style, dramatic looking quiff with faded sides is looking great for a date. Also, a beard with a mustache makes this haircut even better. This is an excellent choice to hang out with your friends or to go on a date with a girlfriend. 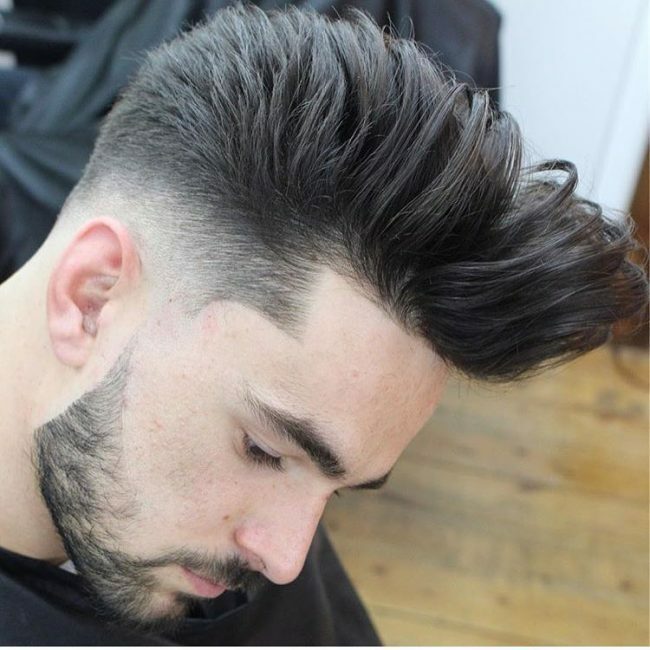 In this trendy look, tapered quiff with front flip is complemented by a short beard and mustache. 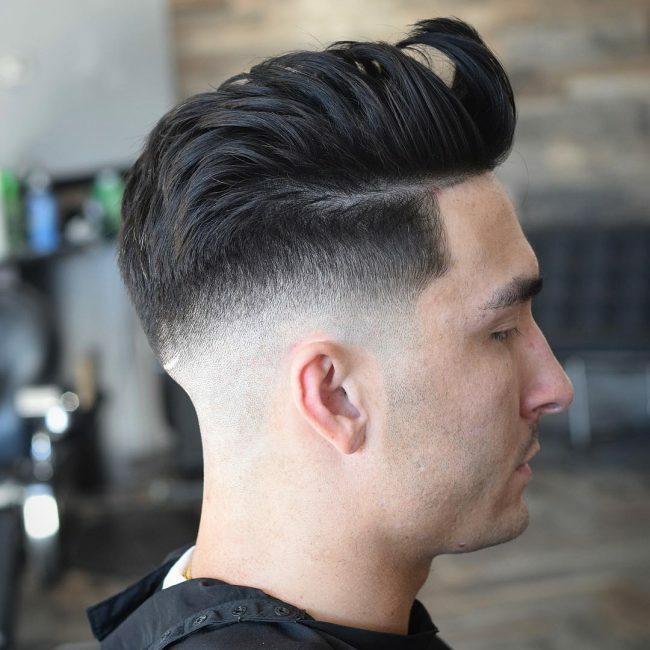 This modern look is fine for a young or middle-aged man; with this haircut, you can go almost anywhere is the city either on official of an informal event. Here you can see classic pompadour quiff. It looks really stylish. With this haircut, you can go to any official meeting or on an interview. Also, you can go in it on a date. 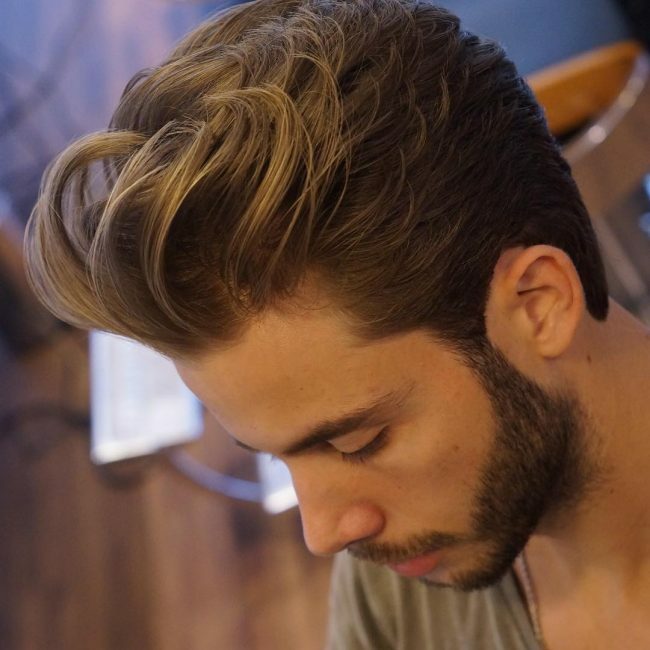 This hairstyle can be called high quiff with faded sides, for which you need a long hair. This stylish and modern hairstyle is excellent both in everyday life routine and you can use it various important events like interview or business meeting. 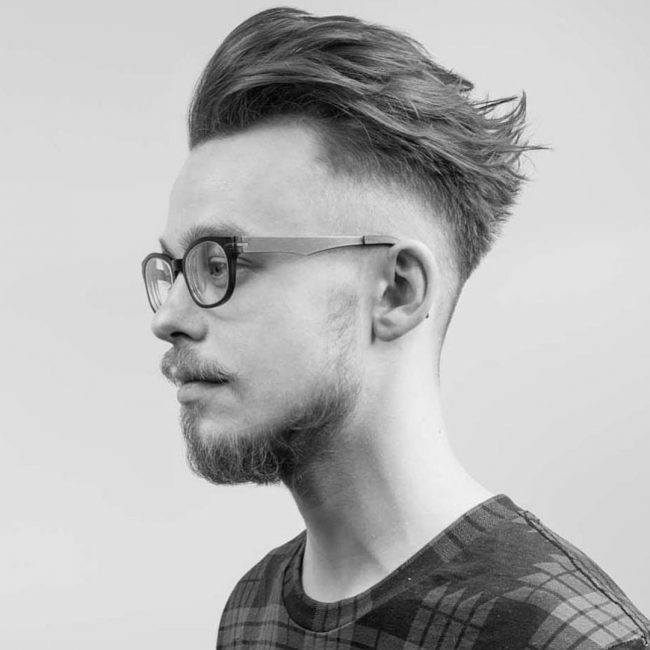 In this look we see high pompadour quiff complemented large with glasses, for this haircut you need a long straight hair. This haircut looks even better with medium-sized stylish beard and a mustache. A great look for a middle-aged man or a teacher. In this example is presented low pompadour quiff with a blond top. This hairstyle will be an excellent choice for a student or young man. Be sure, all your bandmates and friends will be amazed and pleased with your new haircut. This model has quiff with extra high voluminous with a short beard and nice mustache. 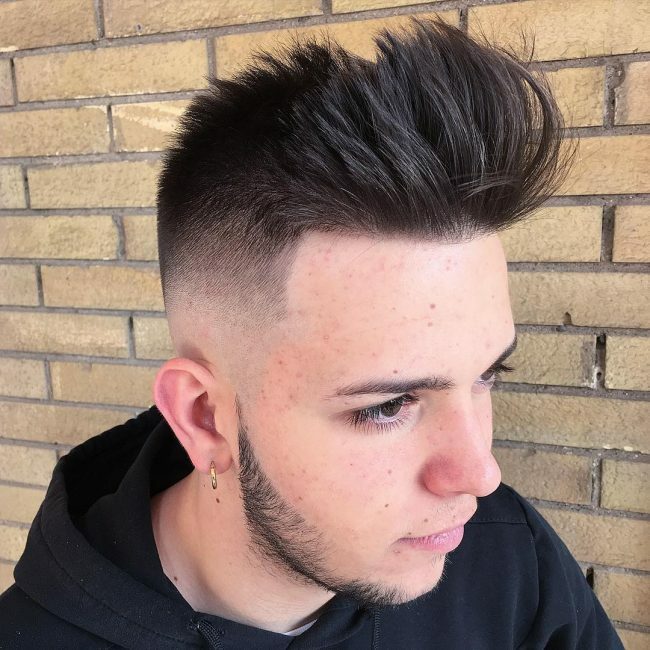 This impressive and stylish haircut is a nice choice for a young student, designer or for a person who makes a video blog works on television. 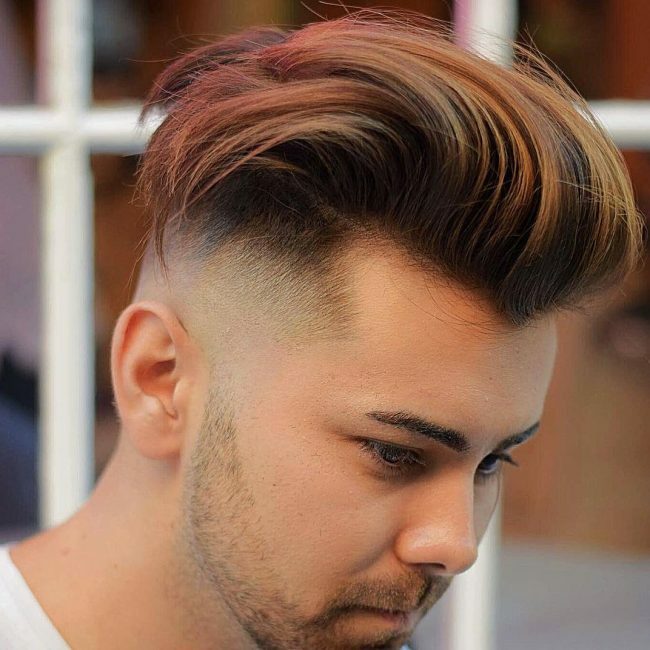 In this style, dramatic looking harsh faded quiff is great for doing outdoors. Also, a beard with a mustache makes this haircut a lot better. 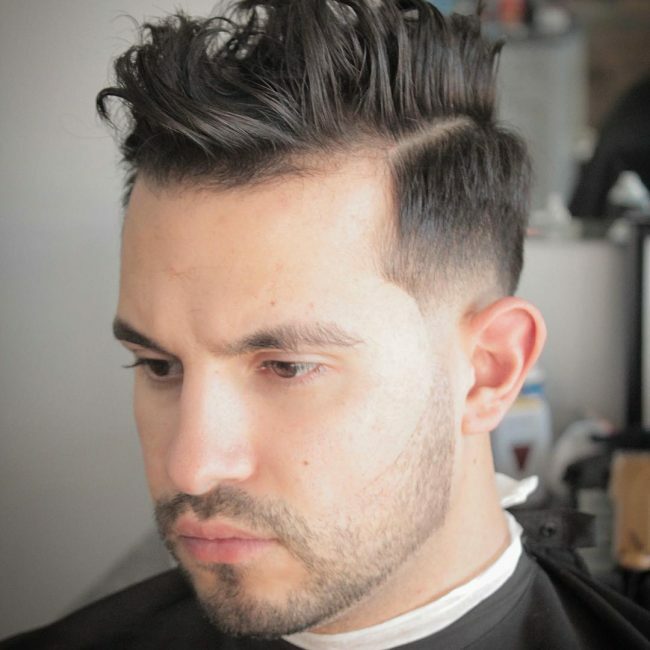 This cool and tough hairstyle will work well with a hoody and jeans. 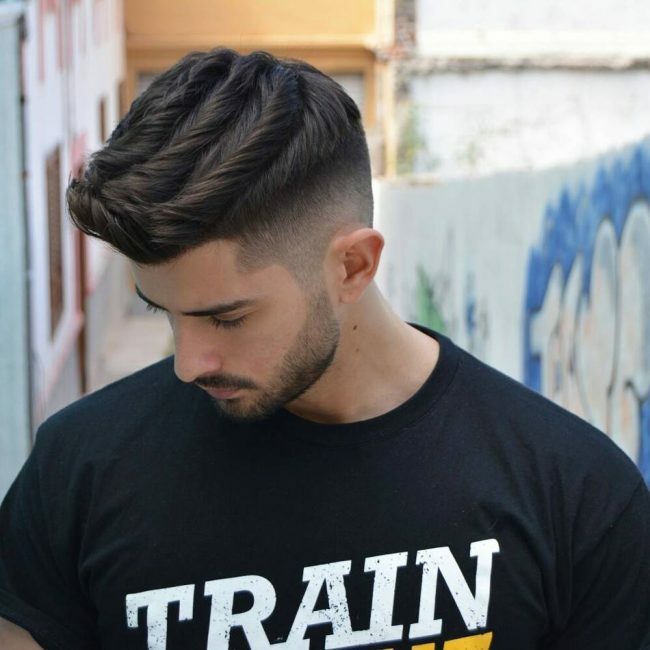 This hairstyle will definitely fit almost any young man or student. 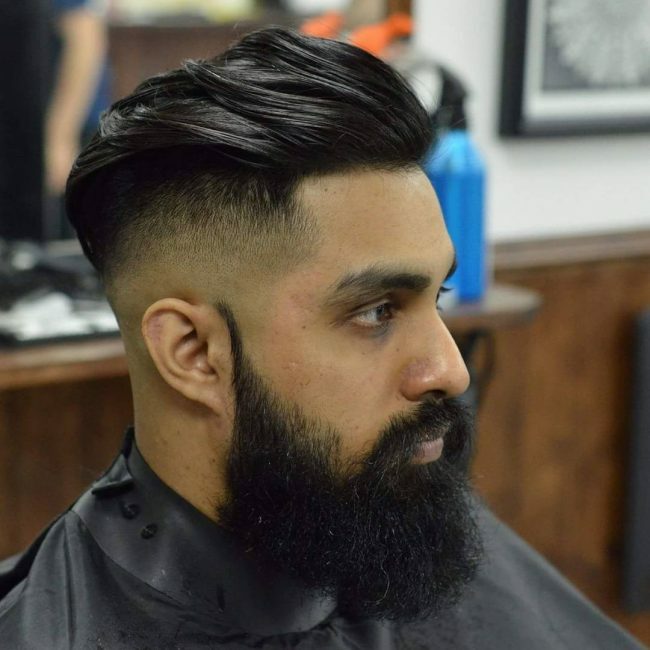 In this trendy look, we see a high quiff with extra voluminous complemented by a modern beard and mustache. 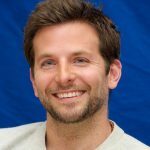 This modern look is fine for a young or middle-aged man; with this haircut, you can easily go on a date or visit a music concert. Here you can see a classic short textured quiff. 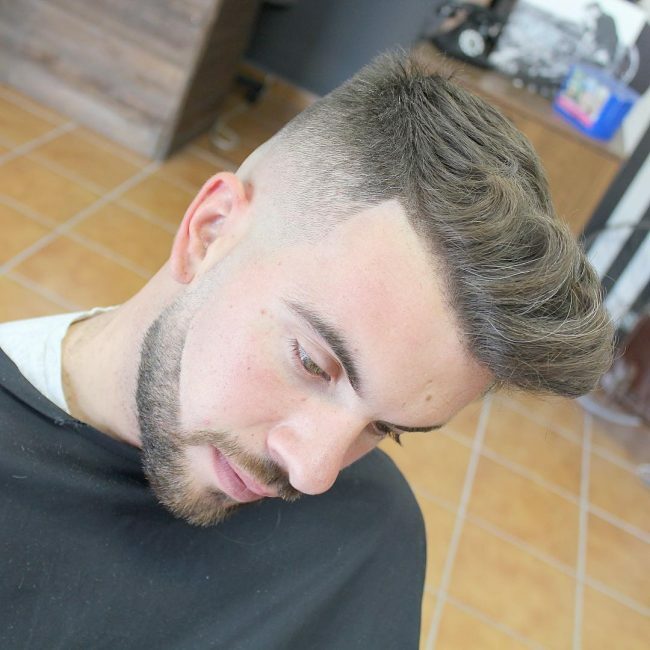 This modern look will be a great choice for a young or middle-aged man; this haircut is universal and can be used in many different situations. But it will definitely fit a presenter on TV. 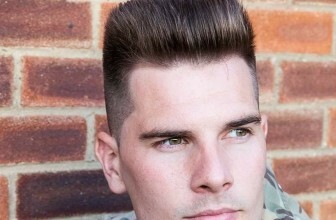 This haircut is a great example of quiff with fading sides; here hair looks very modern and a little bit brutal. This stylish and modern hairstyle will be perfect both in everyday life routine and on different occasions like business meeting in a restaurant. In this look is presented a dramatic high voluminous quiff, and for it, you need to have long hair. This fascinating haircut is an incredible choice to hang out with your friends, go to the theater or a shopping mall. 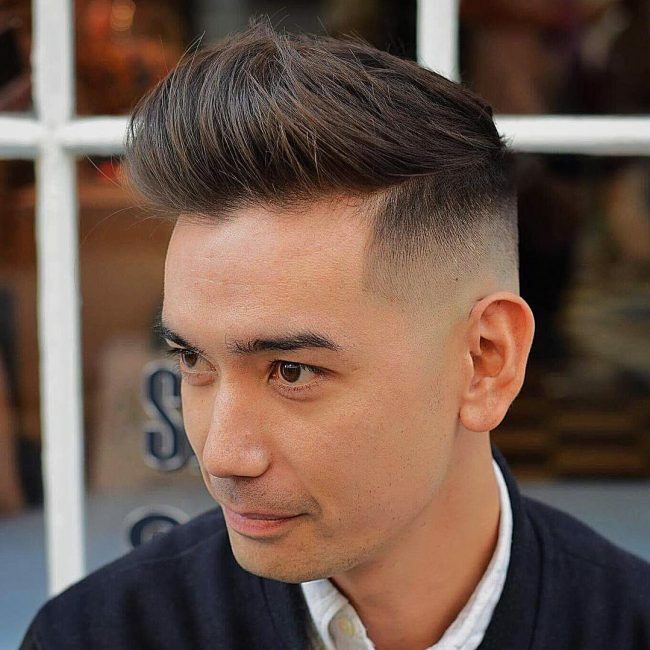 In this example, a barber has made a high spiky quiff with faded sides. This hairstyle will be an excellent option for white collar worker of a student. All your most probably will be astonished by your new spiky hairstyle. 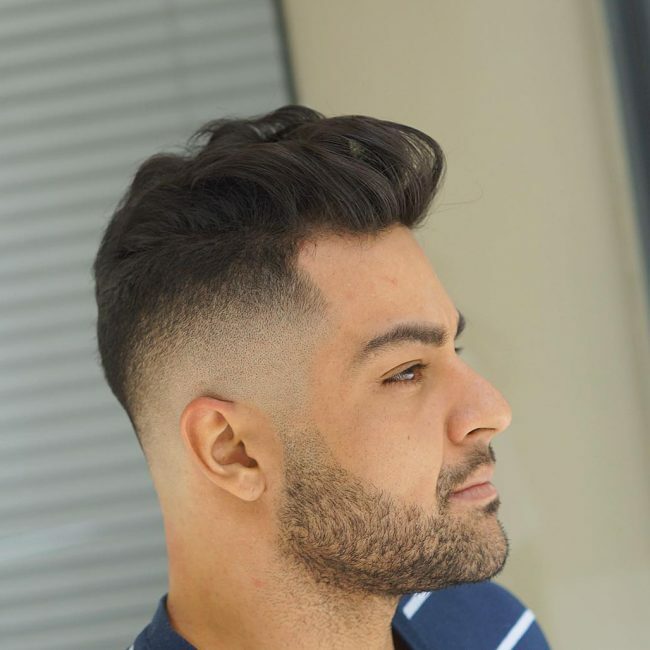 This model has combined a stylish skin fade quiff with almost shaved beard. This impressive haircut is a best option for a young man, on one hundred percent confident in himself. You can surely go for a date or a party in this modern hairstyle. 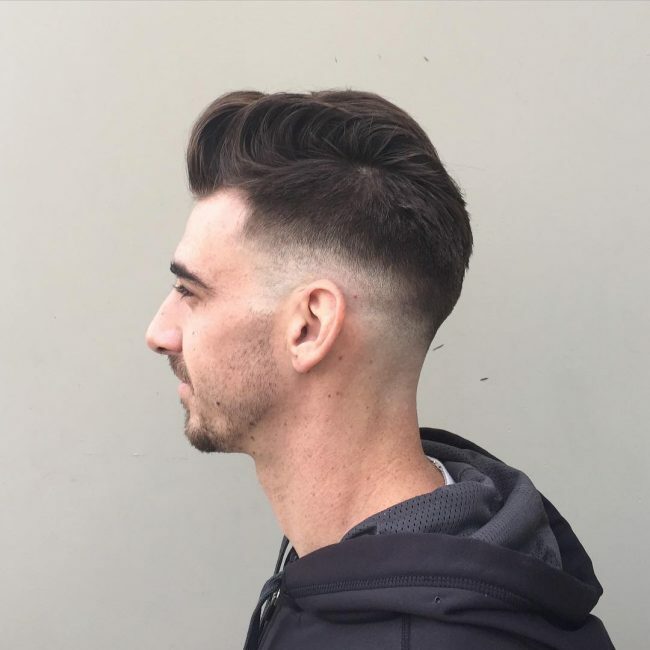 Skin fade will show that you are a trendy and modern young man. 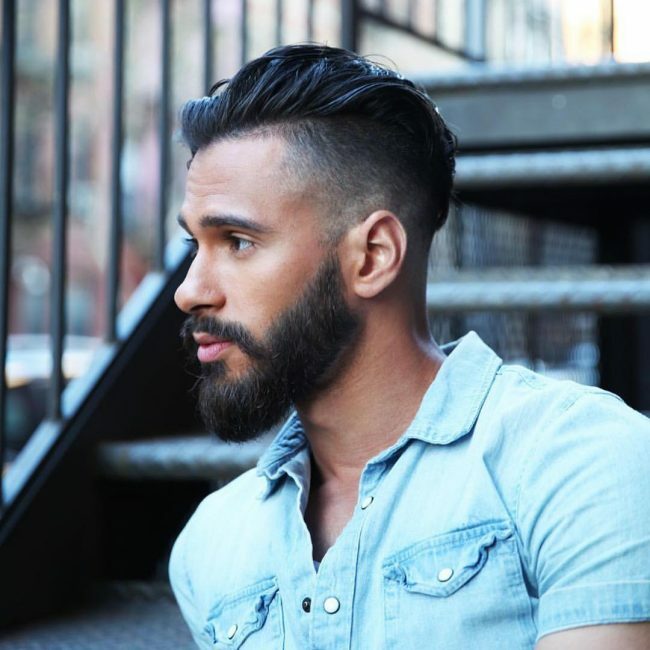 In this style, modish looking classic pompadour with beard is great for an appointment. This modern hairstyle will work well with a business suit or a sweater with a shirt. This hairstyle will fit almost any man before any important for you appointment. 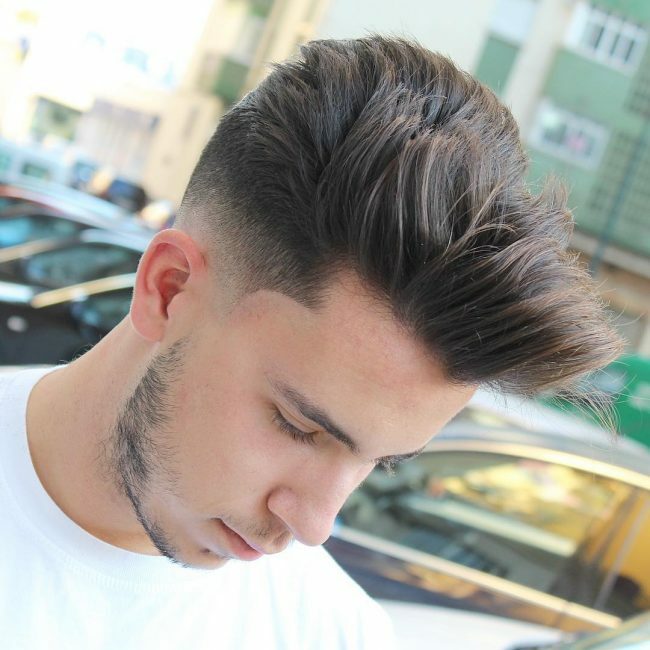 This haircut is a great example of harsh spiky faded quiff hairstyle; here hair looks elegant and a little brutal. This hairstyle will be nice for a young student or a middle-aged man. This haircut will underline brutality and other qualities of a confident man. In this look, we see a spiky quiff with a front flip, for which you need a medium-length straight hair. This hair is a nice solution for going outdoors or going on a trip. Also, your friends will be impressed by it. In this look, we see a pompadour quiff with fading sides, for which you need a medium-length straight hair. Also, a beard with a mustache makes this haircut a way better and cooler. 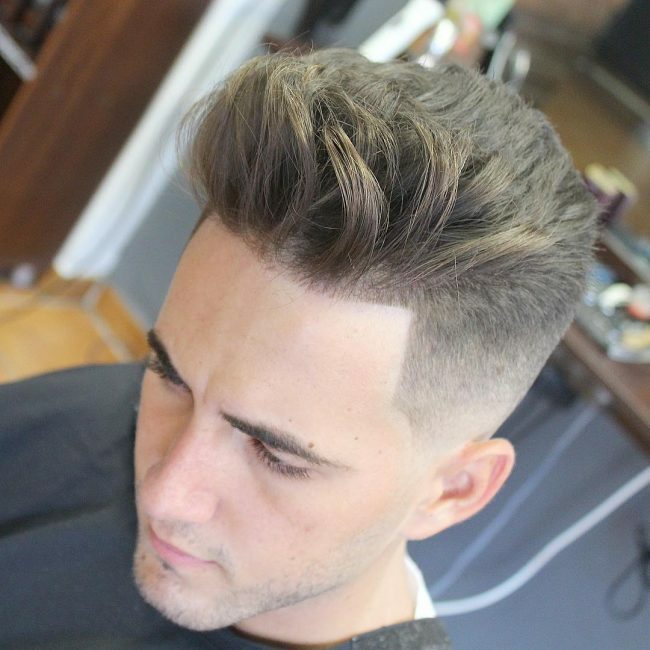 In this haircut, you will look great both on street and indoors. 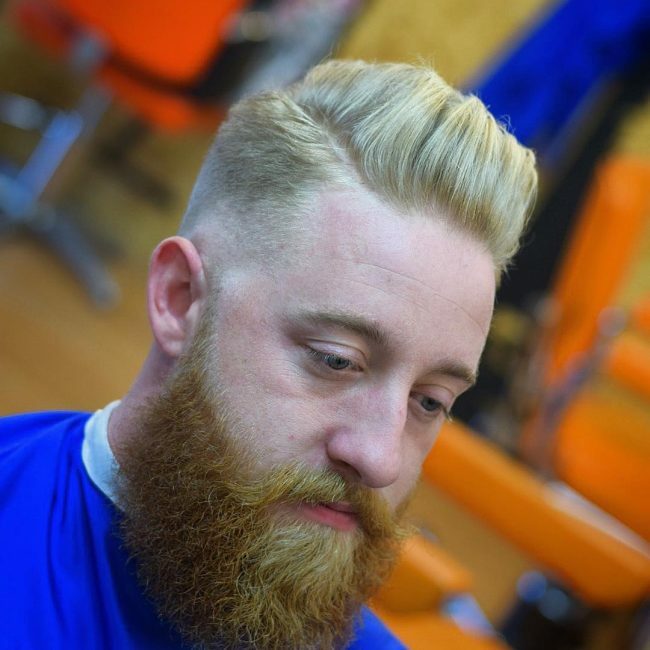 In this example, a barber has made a classical short blonde quiff. Featured haircut looks even better with a big bushy beard and mustache. 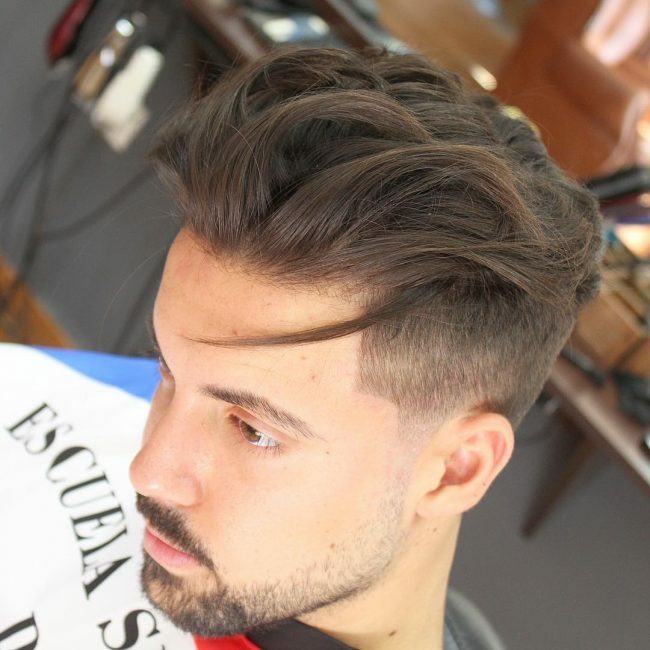 This modern haircut will work well both with formal and informal clothing! And for sure it will have a great look with a long coat. 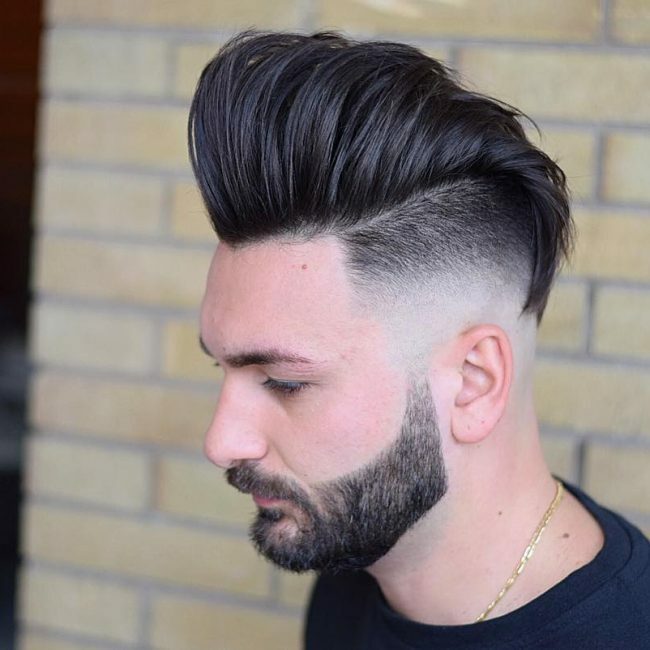 This model has combined a modern pompadour quiff with a short bushy beard and mustache. This stylish and modern hairstyle will look great both in everyday life routine and in different important events like exams at university. 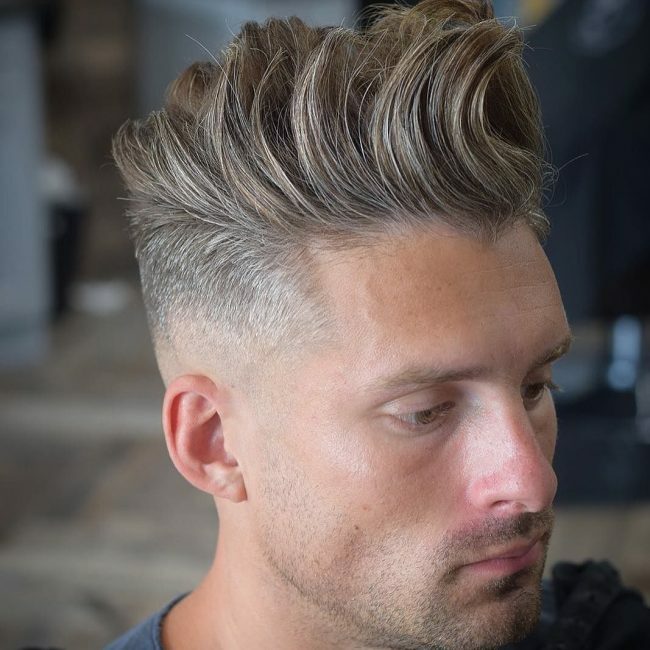 In this style, dramatic looking high pompadour quiff with extra voluminous is looking great for a meeting with a girlfriend. This fascinating haircut is a great option to hang out with your mates, and go to the night club or even go on outdoors. 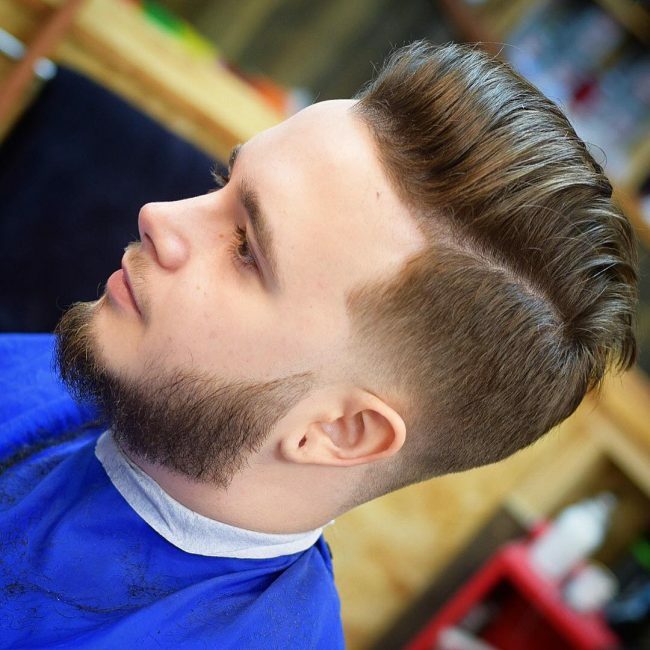 In this trendy look, classic quiff with fading sides is complemented by a short beard and mustache. This hairstyle will be an excellent choice for office worker of a student. Be sure, all your collies and friends will be impressed by your new haircut. Here you can see classic quiff with a long forward flip. This impressive haircut is a nice choice for a young student or for a person who works on television. 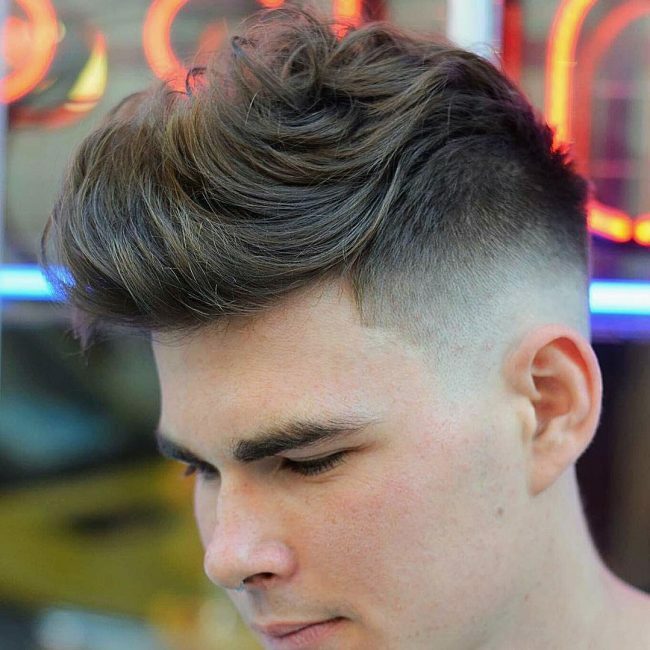 This haircut is a great example of short spiky faded quiff; here hair looks elegant and a little bit brutal. 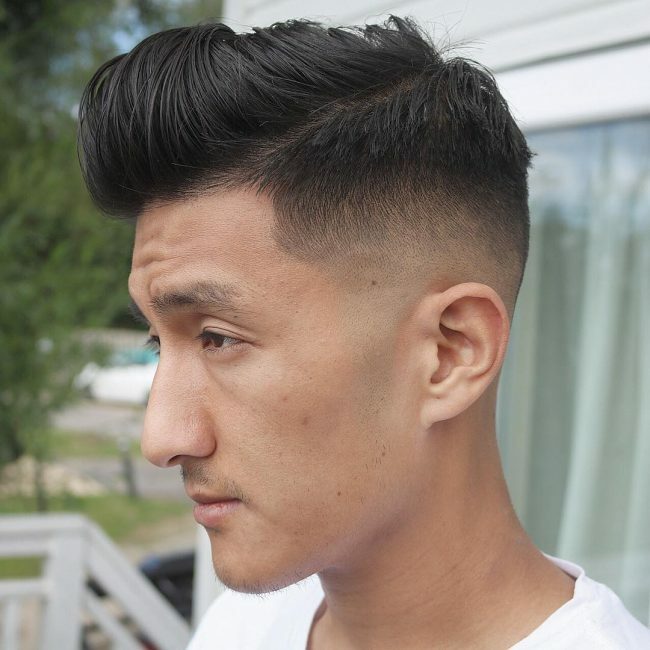 This nice and simple hairstyle will work well with a hoody, jeans, sports shoes and beanie hat. This hairstyle will fit almost any young man. 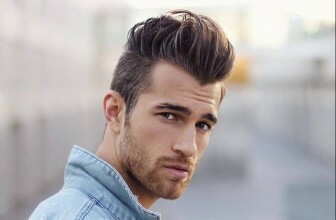 This hairstyle can be called spiky faded quiff with a forward flip, for which you need a long straight hair. Featured haircut looks even better with short beard, mustache. This hairstyle will be nice for a young man or an adult. This haircut will underline brutality and other qualities of a self-confident man. In this look, we see a pompadour with extra height, for which you need a medium-length straight hair. This hair is a nice solution for going outdoors or going on a trip. Also, your friends will be impressed by its look. 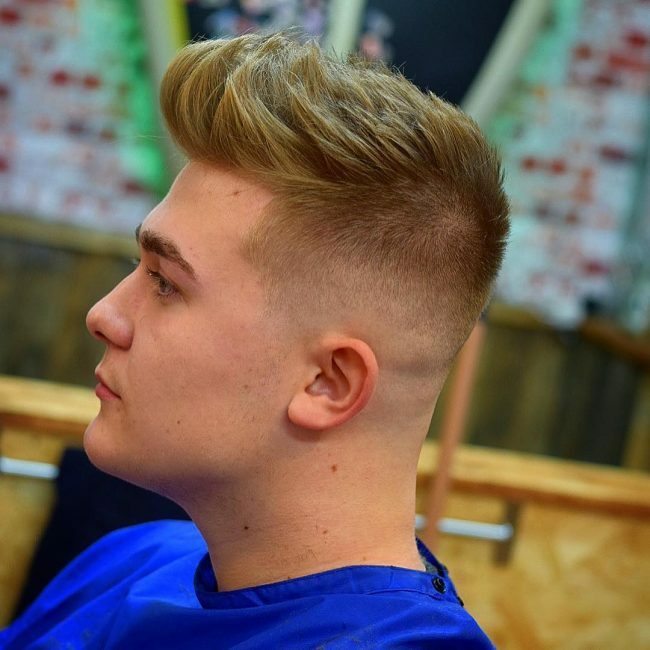 In this example, a barber has made a stylish quiff forward flip. This is an excellent choice to hang out with your friends or to go on a date with a girlfriend. Also, you can wear it in your everyday life. 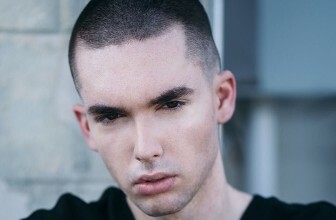 This model has combined a skin fade with extra volume a short beard. 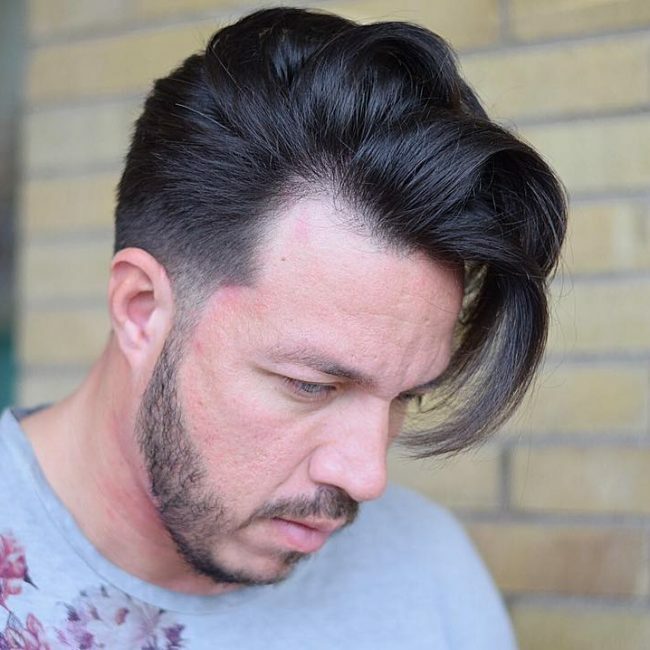 This modern look is fine for a young or middle-aged man; with this haircut, you can go almost anywhere is the city either on official of an informal event. In this style, dramatic looking quiff with lines is looking great for a date with a girl or woman. This stylish and cool hairstyle will be perfect both in everyday life routine and in different important events like a business conference. 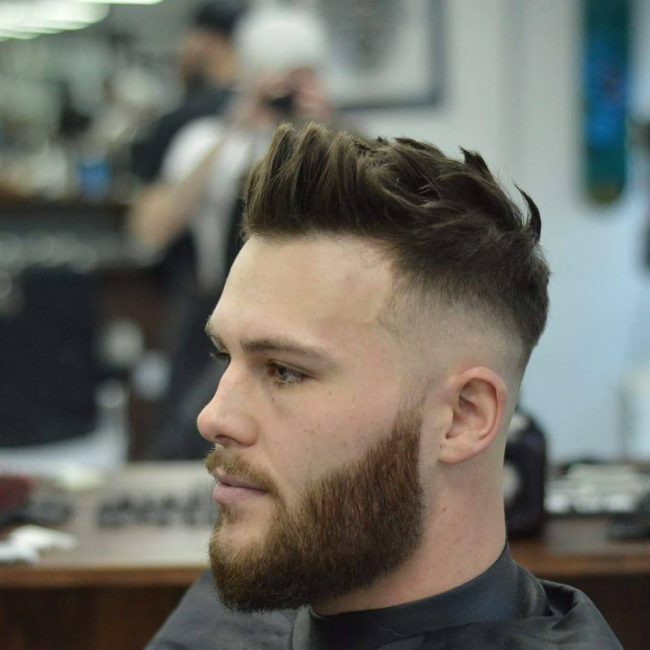 In this trendy look, quiff cut with volume is complemented by a short beard and mustache. This fascinating haircut is a great choice to hang out with your friends, go to the night club or even go outdoors. 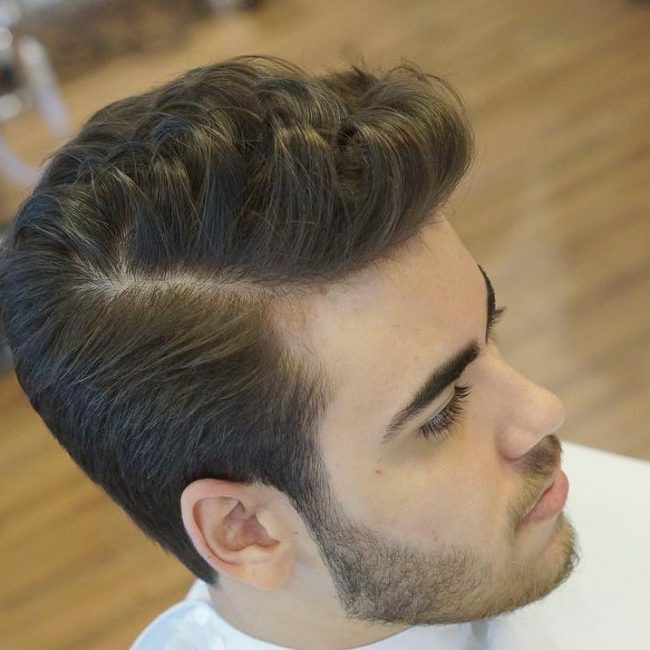 Here you can see stylish pompadour with fading sides. This hairstyle will be an excellent choice for office worker of a student. Be sure, all your collies and bandmates will be amazed by your haircut. 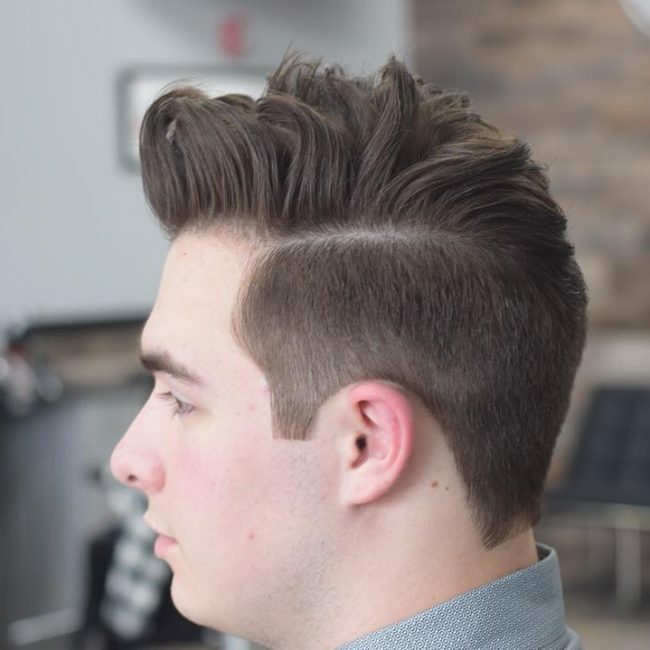 This haircut is a great example of modern quiff cut with volume. This impressive haircut is a nice choice for a young student, programmer or for a person who works on television. This hairstyle can be called stylish quiff cut with spikes, for which you need a long straight hair. 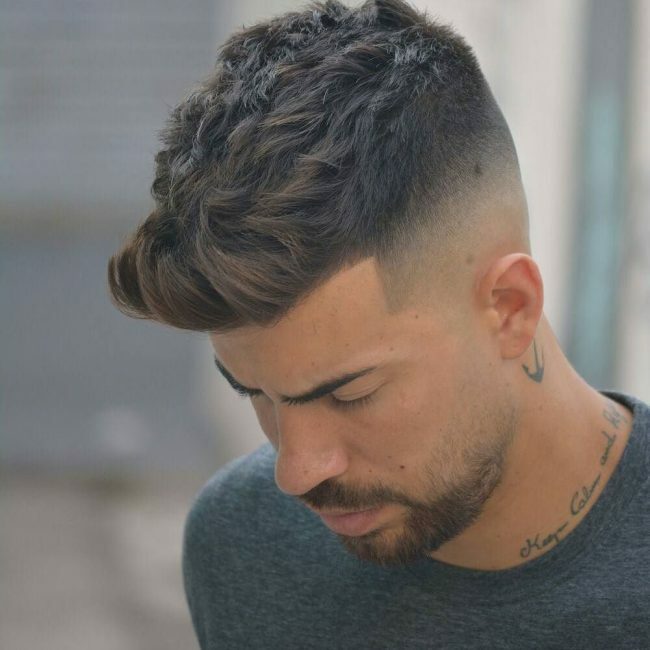 Featured haircut looks even better with a short beard and mustache This nice and simple hairstyle will work well with a hoody, jeans, sports shoes and beanie hat. This hairstyle will fit almost any young man. In this look, we see a Modern quiff with low cut, for which you need a medium-length straight hair. This is an excellent choice to hang out with your friends or to go on a date with a girlfriend. 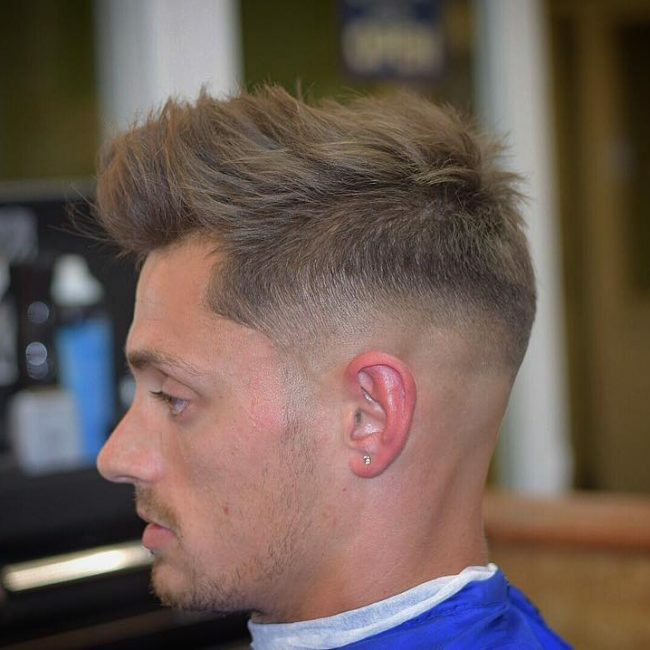 In this example, a barber has made a quiff with additional volume. 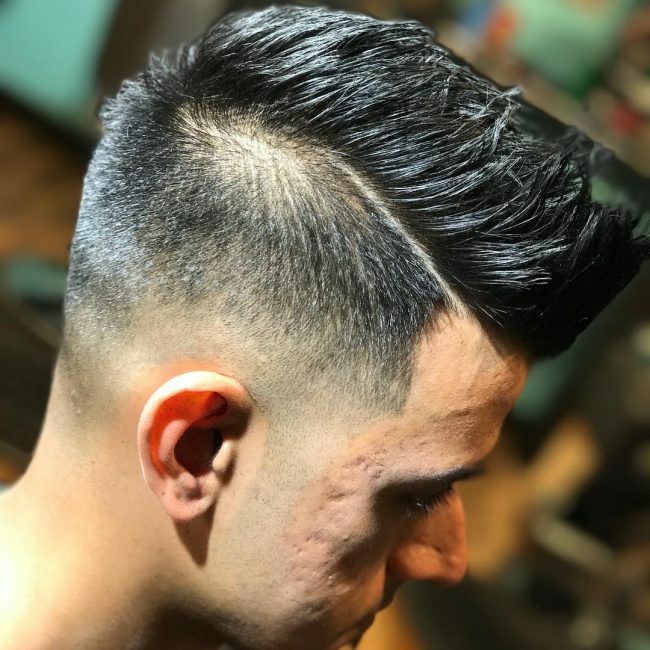 This modern look is fine for a young or middle-aged man; with this haircut, you can go almost anywhere is the city either on official of an informal occasion. As you can see there are a lot of choices and different styles how to wear a quiff haircut. This hairstyle can look very modern and classic at the same time. It can fit both a young man and adult man. 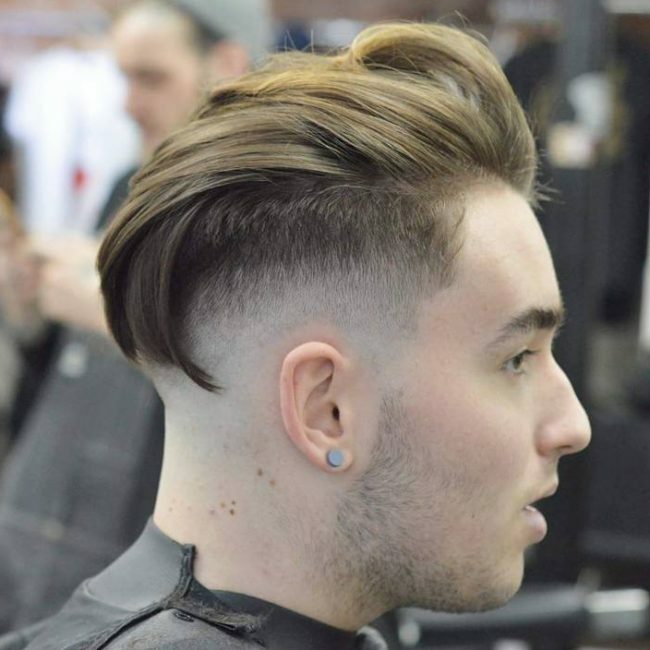 Wear your quiff haircut with pride and show that you have a perfect fashion taste!